Promoter Kalle Sauerland has big plans for his heavyweight, former British champion David Price. 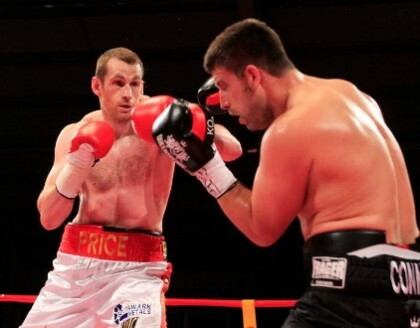 Price, who put a terrible spell behind him in returning to winning ways at the end of May, could even be close to being in line for a shot at IBF heavyweight boss Anthony Joshua. Sauerland told Sky Sports his plan is for Price – beaten only by Tony Thompson and Erkan Teper, who both failed post-fight drugs tests – to box on the upcoming October show in Liverpool topped by Tony Bellew and then in November on the card of the expected Joshua voluntary defence. Sauerland says Price will be matched with a “decent” opponent in October and will then likely face Mexican/American Eric Molina in November. READ David Price/David Allen: Now Who Wins? Price, now trained by Dave Coldwell, has said himself how an all-British Olympic medal winners fight between he and Joshua would prove attractive to the fans. But can Price get past Molina to earn a shot at Joshua? Molina has shown great form recently, traveling to Poland to end the career of former two-weight champ Tomasz Adamek. Unafraid to travel, Molina has actually said many times it is his “dream” to box in England. Molina, the cagey Thompson aside, would arguably be the most dangerous fight in the pro career of Price. Molina, 25-3(19) can bang, he has a good engine and he is a far more experienced fighter today compared to back in 2012 when Chris Arreola took him out in a round. Molina has the great confidence that comes from his proving he belongs at world level – his competitive challenge of WBC king Deontay Wilder surprising many. If Molina could catch and wobble Wilder with a shot the way he did, what would happen if he tagged Price with a hard shot? We may well find out this November.